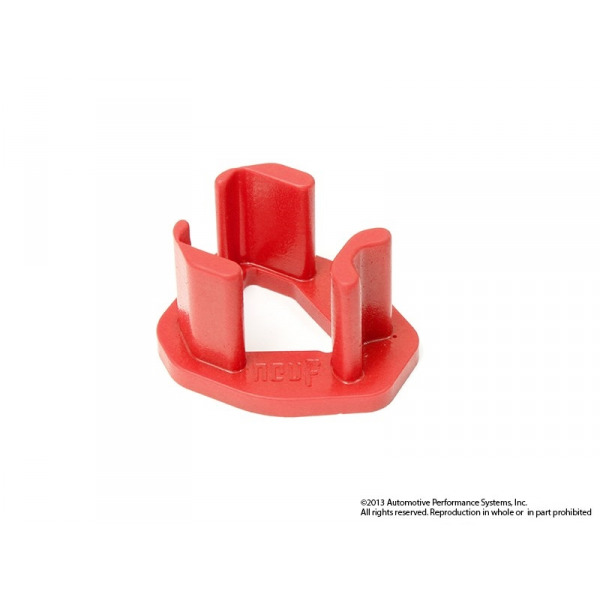 NM's Engine Torque Arm Mount Insert is made of polyurethane and reduces engine movement allowing for quicker and more direct transfer of power from the engine to the wheels. Under hard acceleration, especially during boosting on turbo Fiats, the entire engine and transmission rock forward and backward. The motion is limited by factory 'torque arm' which is constructed of steel arm and rubber bushing. Although the factory arm does a good job in buffering the rocking motion for comfort sake, the engine and transmission still move with quite a bit of travel. This movement absorbs much of the torque that the engine produces and furthermore creates a rubbery and vague response in the vehicle powertrain. 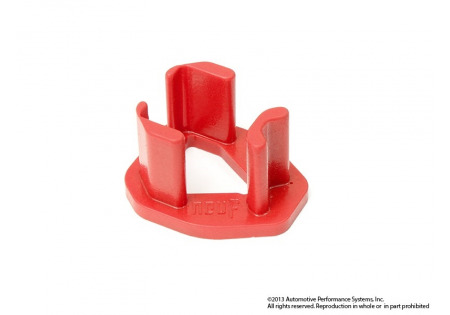 NEU-F Torque Arm Insert (TAI) goes over the fatory arm and fills the voids on the rubber bushing. This limits the arm movement allowing more torque to transfer to the wheel. Also, due to less movement the transmission stays more in line which improves shifting engagement. We designed our TAI with precise dimensions to minimize vibrations, unlike the billet arm with solid bushings which transfers engine vibration through out the entire car.